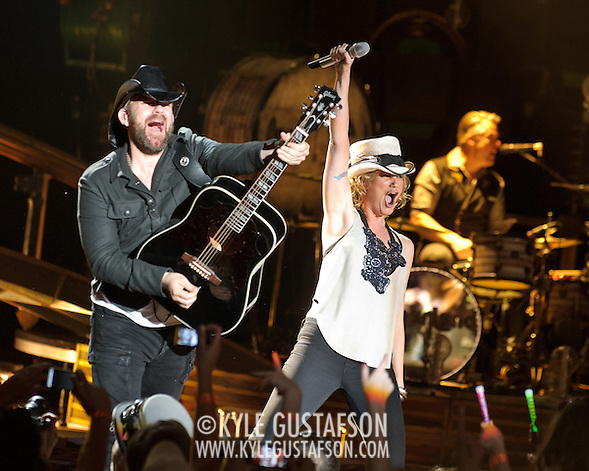 I am by no means a country music fan, but I always jump at the chance to shoot country shows. In general I find that amphitheater/shed-level country shows are consistently the most well lit and well run shows touring across the US. 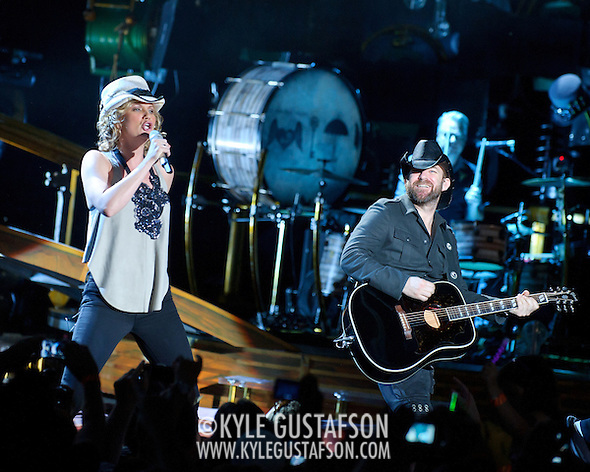 Sugarland are no exception, they have a big stage production and go the extra mile to connect with their fans. Unfortunately part of their connection with their fans involves doing away with the photo pit. It wasn’t an issue the last time they played Merriweather, since the GA pit was filled with seats and there wasn’t a crish to get to the front of the stage. 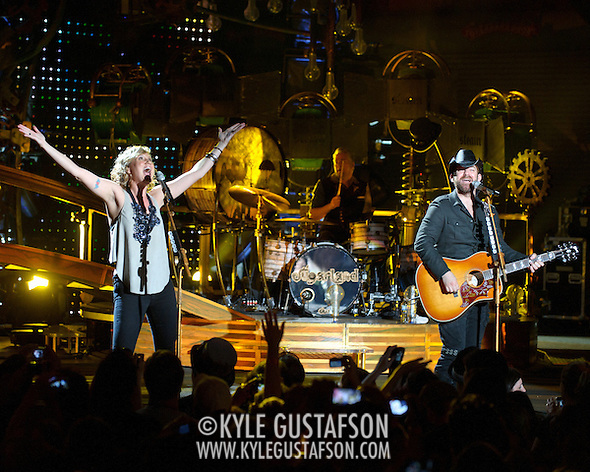 This time, however, it was standing room only in the GA pit and there was no room for me and my fellow photographers. Instead I took up a spot just up the stairs from the GA pit and tried to use the elevated position to my advantage. This meant I was stationary for the three songs, but it was better than the alternative.